"An unforgettable true story that will touch your heart and make you believe in love’s enduring legacy, and in the power of prayer. In 1928, 16-year-old Minka was on a picnic in the woods when she was assaulted and raped. And suddenly this innocent farm girl—who still thought the stork brought babies—was pregnant. The baby was secretly born, named Betty Jane, and given up for adoption. For decades, Minka wrote letters trying to get news of her daughter; she kept loving and praying for her, even though she never dared believe they would meet again. Until nearly eighty years later, when Minka whispered her secret, impossible prayer for the first time: Lord, I’d like to see Betty Jane before I die. I promise I won’t bother her or interrupt her life. I just want to lay eyes on her. Unbeknownst to Minka, that very same day, a judge was releasing the sealed adoption records to her 77-year-old daughter. And soon, Minka’s phone would ring. 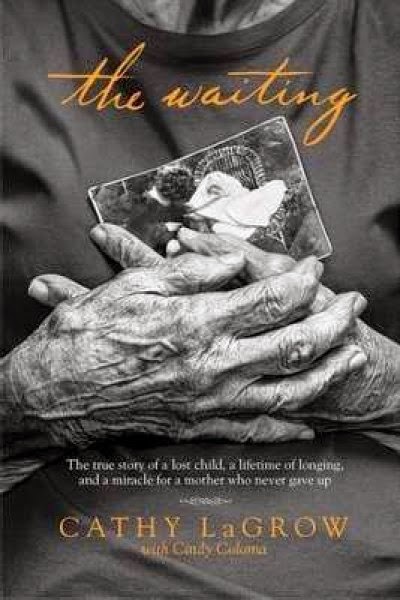 Written by Cathy LaGrow (Minka’s granddaughter), The Waiting brings three generations of this most unusual family together over the course of a century to tell a story of faith that triumphs, forgiveness that sets us free, and love that never forgets." I received a copy of this book for the purpose of this review. All thoughts, comments and opinions are my own.